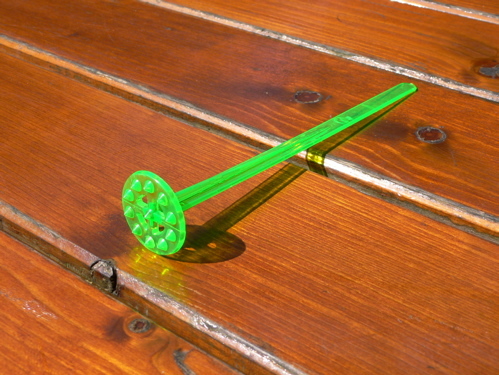 If you order sparkling water with lime (or lemon) in Amsterdam, your drink will arrive with the tool pictured above. This tool does not just stir—no! The flat and gently spiked end can mash up your lemon or lime, should you choose to put in the time. How multi-taskingly hot is that?